Can having fewer children prolong your life? New research into ageing processes, based on modern genetic techniques, confirms theoretical expectations about the correlation between reproduction and lifespan. Studies of birds reveal that those that have offspring later in life and have fewer broods live longer. And the decisive factor is telomeres, shows research from The University of Gothenburg, Sweden. Researchers have studied barnacle geese, which are long-lived birds, the oldest in the study being 22 years old. The results show that geese, compared to short-lived bird species, have a better ability to preserve the length of their telomeres. The explanation is probably that species with a longer lifespan invest more in maintaining bodily functions than, for example, reproduction. Telomeres are the protective caps at the end of chromosomes. The length of telomeres influences how long an individual lives. Telomeres start off at a certain length, become shorter each time a cell divides, decline as the years pass by until the telomeres can no longer protect the chromosomes, and the cell dies. But the length of telomeres varies significantly among individuals of the same age. This is partly due to the length of the telomeres that has been inherited from the parents, and partly due to the amount of stress an individual is exposed to. Find the full text of the study @ BMC Evolutionary Biology Telomere dynamics in a long-lived bird, the barnacle goose. As of late, I've seen the headline, "the key to a longer life is having fewer children," appearing in my searches. These searches indicate that a) people do not seem to actually read the original studies and b) there's a correlation between stress, biological aging and telomere length. The study in question suggests that there is a" link between organismal longevity and maintenance of cellular structures such as telomeres, as predicted by theories of ageing and suggested by previous empirical studies" but you should be cautious about what assumptions you make. Probably because they are studying birds, and not people. The conditions in which people...and birds raise children are obviously crucial to their survival. With humans, though, I would also argue the ability to handle stress, whether on a cultural level or due to privilege (among so many other factors! class, gender, medicinal practices, nutrition, war, maybe family and happiness...) are probably going to affect the longevity of one's life. Not even the ability to handle stress, but you know, the privilege of having less stress would certainly be a factor. What even constitutes stress? "Telomere length (hereafter TL) and its relationship with age has been thoroughly examined in natural populations of birds, probably because a relatively large number of avian studies have data on marked, known-age individuals. The majority of these studies present cross-sectional analyses, comparing the lengths of telomeres in different individuals of varying ages. However, conclusions about telomere attrition rates from such data have to be treated with caution. There are a number of factors contributing to the large inter-individual variation in TL that are independent of age, potentially confounding inferences about loss rates." My maternal grandmother had like a bajillion children. She is in her eighties, and very sickly. Because she has so many children, she always has someone to take care of her. In my culture, you are stuck with your parents forever. For the most part. When parents become elderly, (unless they want to live on their own) it's expected one of the children will take them in. Most of the elderly in my family (that lived beyond the 90s) lived, or live into their 90s. 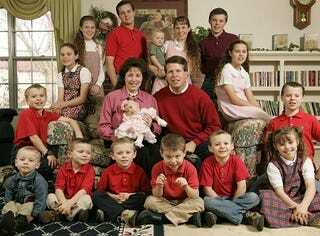 They all had a minimum of five or six children. They also lived out their lives in a comfortable manner. Comfort, here, is not within the western context. Some of them lived in western style conditions, some of them did/do not. I will note that all of these people, in addition to having families around, access to food and medicine, also walked a lot. Up until their last days. As far as I know, none of them were regular smokers, and given religion/culture, drinkers. Just from observing people of the same class and background, I wouldn't say all my family members are an exception. My parents? They've only got me. We'll see if they "live longer." Uhhh. No, obviously I hope they do! My parets- at least, for now, have technology, healthcare, familial obligation and finances in their favour. I'm also going to go out on a limb and say that some of the oldest people in the world will remain invisible from the western media. Maybe they don't care, maybe they don't know how old they are because of sketchy birth records, maybe they don't have the means to share their their age. Given the changing nature of families, rising middle class, globalization for the good and bad...there's a lot to consider, at least in terms of making assumptions about family size and life span in the so-called modern world. If you know your family lineage, what's life expectancy like in your family? What's your family size like? And on a side note, I will add that geese are frightening creatures that will adapt to anything and one day take over the world. I have seen them wandering about in -30, like it's No Big Deal. They will take your food, eat you, and maybe your money too. So yes, they live longer. One day they will be immortal. ***The bullying behaviour of the geese that live in my parents' backyard indicates as such.